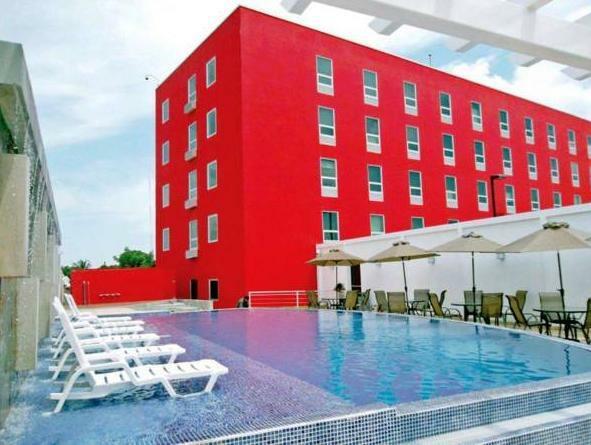 ﻿ Best Price on Hotel Hex in Managua + Reviews! 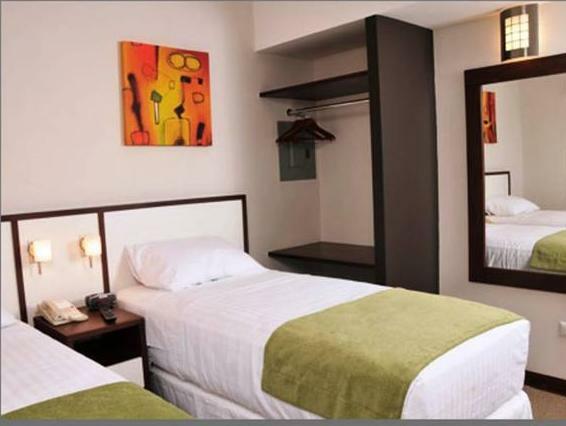 Hotel Hex is a business oriented hotel, located 7 minutes’ drive from Managua International Airport. It has free Wi-Fi connection, free on-site parking and an outdoor pool. There is also a fitness center. 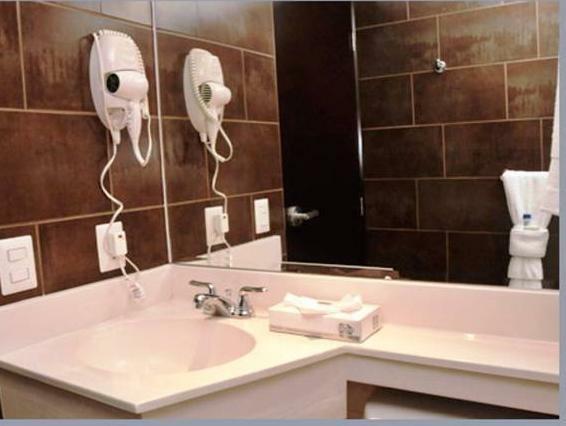 The modern decorated rooms are air conditioned and feature flat-screen cable TV and a telephone line. The bathroom has a shower and hairdryer. Hotel Hex includes a buffet-style breakfast with the room rate. 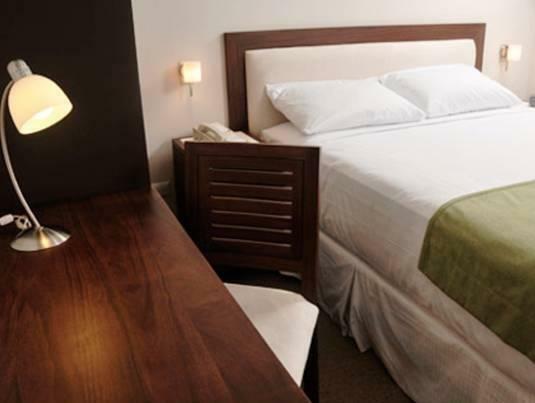 Meeting facilities are available, and the front desk works 24 hours a day. In front of Hotel Hex is Multicentro Las Americas, a popular shopping mall. There, guests will be able to find a variety of restaurants and shops. The Mercado Carlos Roberto Huembes market is 1.5 mi away. I arrived on New Years eve so you can imagine that it wasn’t exactly a quiet place to stay. Lots of fireworks in Managua! A very large group of college students were staying at this hotel on a mission type trip and as a result the hotel was a little noisy. My room was on the 2nd floor and the lobby area is open to the second floor. The noise carries since there is a lot of hard surfaces. I could hear the sound in my room. The room was clean, the bed was comfortable. The a/c unit is on the wall below the window. As a result it blew cold air on the bed and my legs got cold in the night. The rooms are not real big. Bathroom was your basic bathroom. The carpet in the hallway is really awful and either needs a really good cleaning or to be replaced. The Hex hotel brand is a lower end hotel that offers “reasonably” priced accommodations. Since it was New Years eve, it wasn’t cheap, the rate dropped about $30 the next night. Nice breakfast in the morning. Food quality is so so. Les chambres sont petites et la literie plus petite que prévue. Mais le tout est propre et de bon standing avec un rapport qualité/prix tout à fait raisonnable. La cuisine est également au rendez-vous au restaurant. De plus la piscine est très agréable.